When personal computers were not widely available with Chinese households that many had to visit Internet cafes, the Chinese cafe operators and third-party service providers created some interesting revenue steams. Apart from charging a time-based fee for using a computer, the Chinese Internet cafes also made money through advertising or commissions from Internet companies such as search service Baidu and gaming companies like Shanda. Shanda came up with the idea of selling points used for in-game purchases at Internet cafes, and developed a system for selling points online. Previously points had been sold by certain distributors or at newsstands. In 2002 when Shanda had 60% of China’s online gaming market, 65% of the point sales were through thousands of Internet cafes across China (source in Chinese). Baidu shared revenues from search marketing and advertising on Hao123.com (browser startup page) with Internet cafes who set its search service or Hao123 the default option on all of their computers. It was said that back then a considerable traffic of Baidu’s was from Internet cafes. There were also companies that made money directly from Internet cafes. 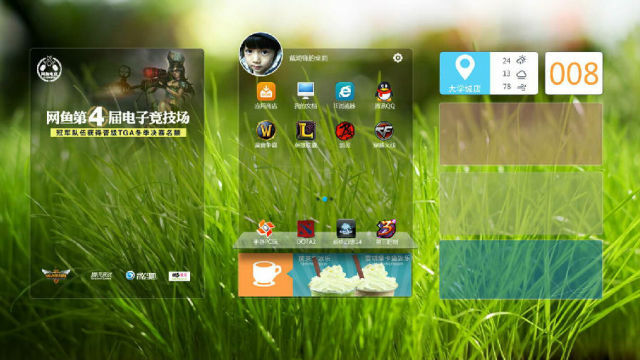 Hangzhou Shunwang Technology (SZ:300113) sells customized desktop software and other management systems to Internet cafes. Services providers like Shunwang were also part of some of the advertising programs such as Baidu’s; for instance, it set Baidu Search as the default search option on the desktop software sold to Internet cafes. As personal computer ownership in China has grown dramatically in the past decade or so, a majority of Chinese Internet users don’t have to visit Internet cafes for chatting or shopping anymore. But Internet cafe isn’t dead in China. Today most people in a Chinese Internet cafe are playing games, for the specs of their computers home are not so good for gaming or playing games annoys their family members. Game players are considered more willing to make purchases than non-gamers. So running Internet cafes seems still a good business. Wang Yu Wang Ka (WYWK), a Chinese Internet cafe chain that started operations in 1998, launched “version 4.0” recently. WYWK has had 204 stores, with two in Canada and Australia, respectively. It has had 2.6 million members and expects 15 million person-times by year end, according to the company. There were, actually, no big differences between the first three versions of WYWK cafes, as introduced by its website. The differences are in the computer brands, loyalty programs, decorations of the cafes, or the drinks & snacks available; version 3.0 introduced iMac. This time it wants to make a big change. The 4.0 version, besides a new decoration design, has introduces self designed hardware (desktop display, keyboard and mouse), and a customized desktop software & a mobile app. Similar to the desktop operating systems Shunwang sells, the WYWK’s has both customized features and a lot of ad space. The WYWK’s offers an app store, Cloud storage service, and a user account system enabling users to access the same personalized features or content at any WYWK cafe. It now can make all the advertising revenues which previously should be shared with third parties like Shunwang. The mobile app makes it even better a business than Shunwang’s. The app allows users to pay fees, choose seats, and see & chat/group-chat with people nearby.